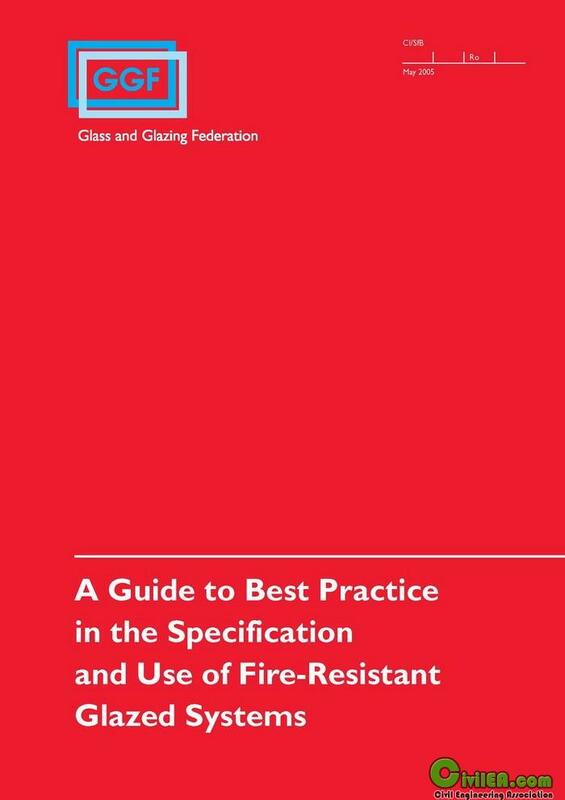 This best practice guide has been developed by the Fire Resistant Glazing Group (FRGG) of the GGF to help all those who specify, design, supply, install, and depend on fire-resistant glazed systems. We also have in mind regulators and inspection authorities whose task it is to enforce regulations as they apply to protection against fire, as well as insurers whose prime concern is property protection and risk management. The fire environment is hostile and its effects can be catastrophic for both life and property. The occurrence and growth of fire is also essentially unpredictable and uncertain. It is therefore critical that the products we provide for fire-resistance measure up to the highest possible standards concerning both the level of performance and the consistency and reliability of performance. In that respect we have a shared duty of care with all those involved in the chain from specification through to installation. The FRGG represents a broad cross-section of the fire-resistant glazing industry. Members include representatives of manufacturers and distributors of glass, glazing seals and frames, product testing authorities, certification bodies, and glaziers. We have pooled our collective expertise and knowledge to provide a unique, definitive guide on behalf of the industry. All members of the FRGG committee have participated in its development and endorse its content. A primary objective for the FRGG is to lead by example in setting appropriate standards for the fire-resistant glazing industry and to encourage the widespread adoption of these standards. We hope that our best practice guide is a step along this road. In this respect we hope to work with organisations such as National Building Specification Ltd in assisting designers and specifiers to develop appropriate specifications for their buildings. We therefore intend that this guide will provide additional advice and guidance in support of the NBS L40 document concerning the specification of glazing where specialist fire-resistant glazed systems are required.